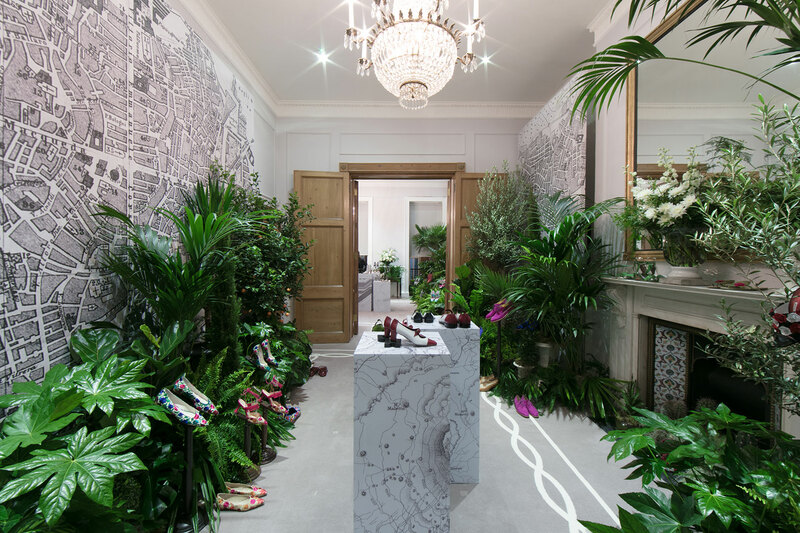 Creative agency Making Noise Quietly asked us to help create a space for iconic shoe designer Manolo Blahnik. 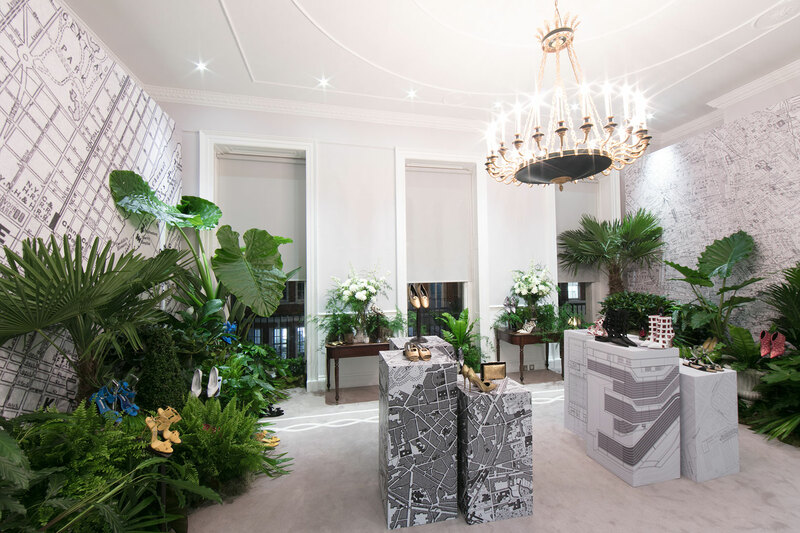 We needed to transform the London showroom for a 2 day press event. Located in a Grade 2 listed building on historic Welbeck Street in central London, we had to be respectful of the buildings heritage. 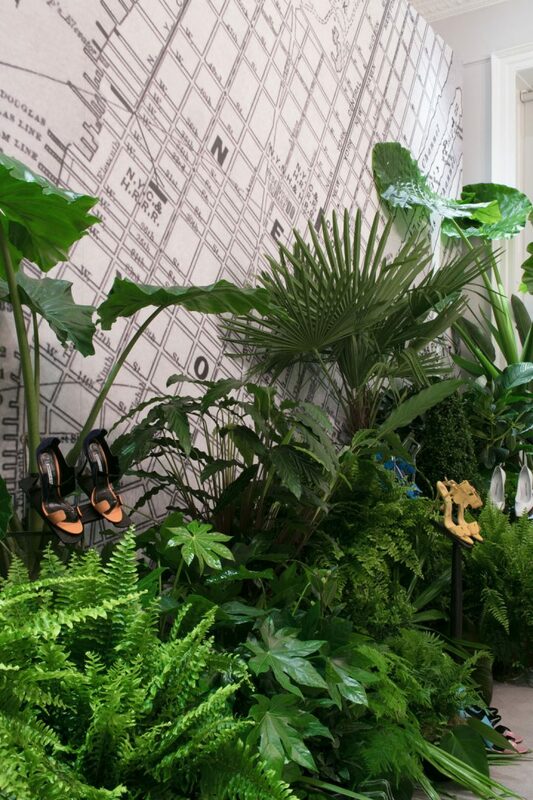 To create huge printed graphics of antique maps relating to the collection. 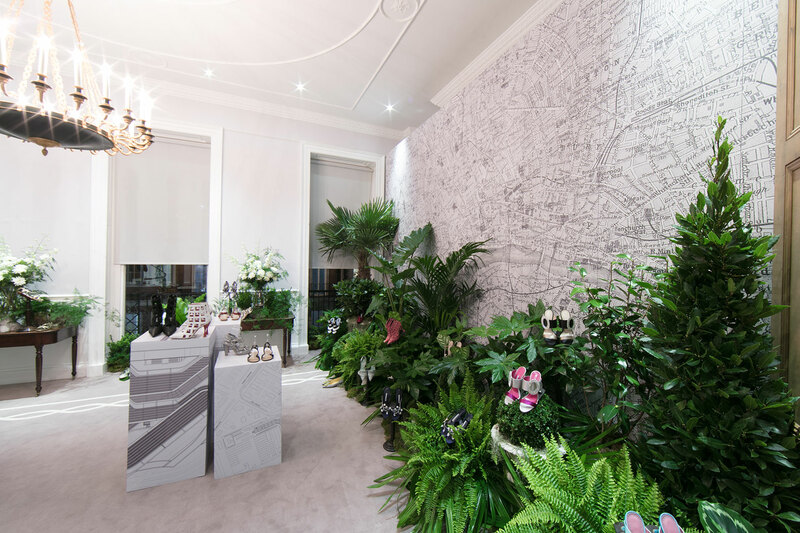 Artwork was sourced for city maps of London, Manhattan, Madrid, Sevilla and Palermo. Large format canvas print was untilised as it would carry the aged aesthetic perfectly. A survey of the space was taken and a bespoke framework fabricated prior to installation. The canvas was stretched on site and the frames stood to create the walls.